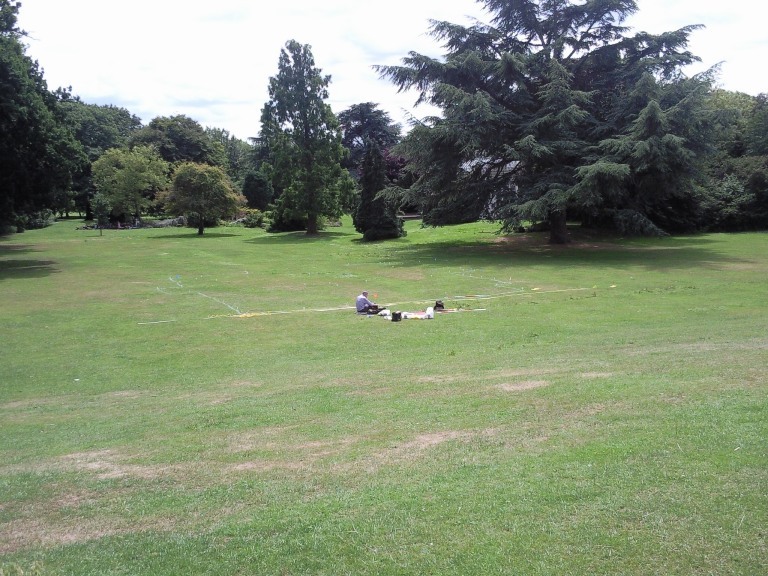 Thames Discovery Programme - A Mystery at Gunnersbury..
On Saturday 18th July, we kicked off our Festival of British Archaeology week activities by having an information stand at the Gunnersbury Park Museum in Acton, West London. 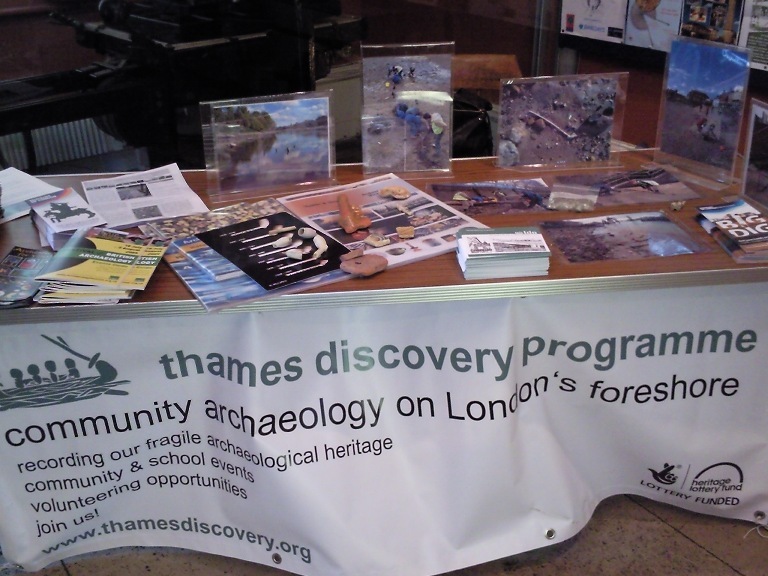 We were invited there by one of our FROG members, who is also an archaeological dowser, and member of the Middlesex and Surrey Archaeological Dowsers. 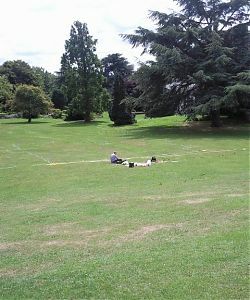 The dowsers were looking for the remains of buildings in the grounds of the Large Mansion, former residence of the Rothschild banking family, in Gunnersbury Park. The setting was lovely, albeit slightly delapidated, as all council properties seem to be. It is a shame, as the museum itself is jam-packed with stuff, and has a huge collection from the foreshore, especially from the Brentford area. 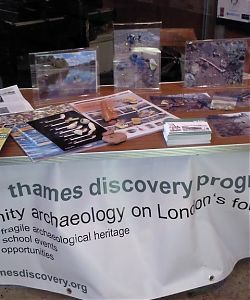 The archaeology displays are definately worth a look, and there are some beautifully decorated 19th century rooms. The dowsing itself was a real mystery – the dowsers outlined a building, but nothing else was done to find out if the pull of the dowsing rods compared to any actual remains under the soil. The Middlesex and Surrey Dowsers may be writing up their findings, and I know that all the lovely volunteers that helped me out on Saturday are looking forward to the results!